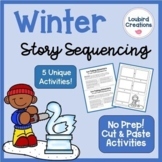 Choose 6 events from any story and add them to this editable worksheet. Students cut the event boxes from the bottom of the worksheet and glue them in the correct order. 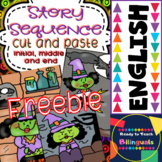 Publisher file - easy to use. 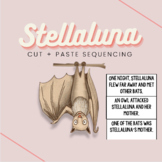 This Stellaluna cut and paste worksheet would be a great asset during the instruction of proper story sequencing. It would be perfect during station work or during whole group assessment. 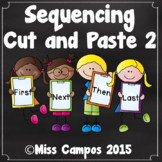 This is a sequencing cut and paste. 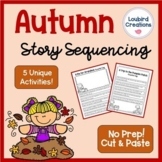 It features Goldilocks and the Three Bears, Little Red Hen, Three Little Pigs, and a Holiday story. 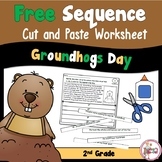 It also contains a sight word game print out. 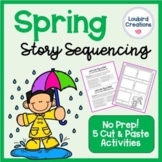 5 short stories that are leveled for 1st-2nd graders to read. 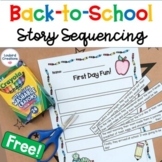 Help your students practice the skill of sequencing by cutting out the parts of a story and putting the story back together in order. 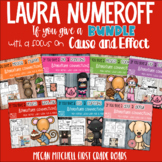 Includes key transition words as well! 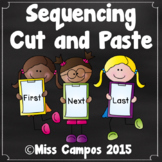 Use this sequencing activity to encourage continuity in writing. Directions: Cut out the pictures and put them in the correct order. 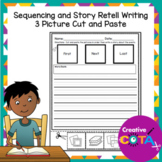 Then write a story to go with the pictures. 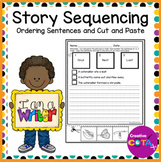 Students cut and paste each part of the story in the correc order. 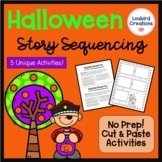 This worksheet reviews the sequence of the story and gives practice using ordinal numbers. 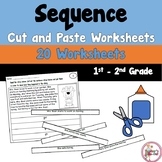 The large pictures can be used for modeling or put on the board as a sample/answer key for students when independently completing the worksheet.